We are sharing the last tutorial by Nicky today. 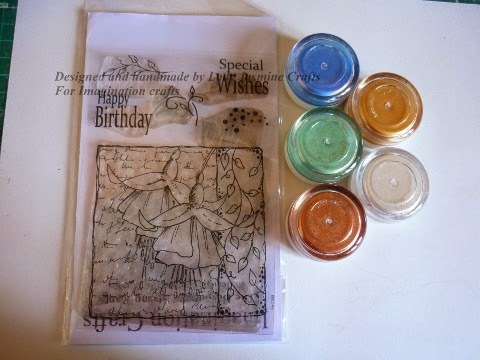 We would like to thank Nicky for all her hard work and being part of the DT for the past 10 months. 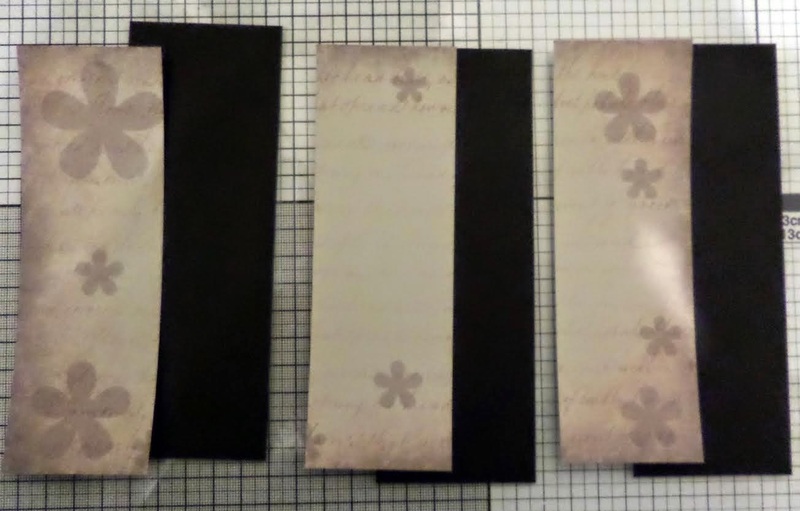 Black card stock, ribbons and embellishments. 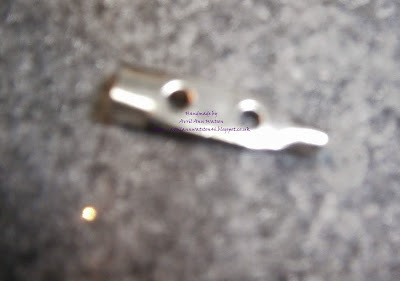 Take a piece of black card, punch 3 holes in the left hand side. Using Versamark stamped the image onto the black card. 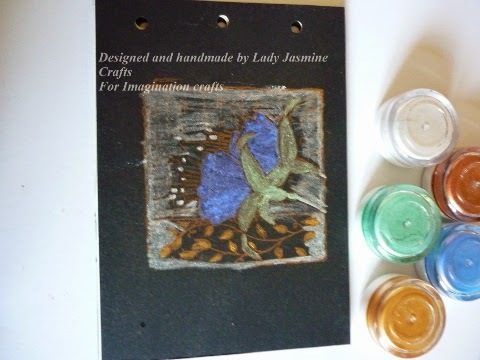 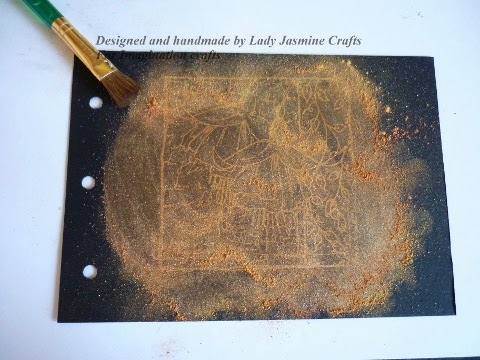 Choosing 2 of the mica powder colours, bronze and gold sprinkle over the stamped image. 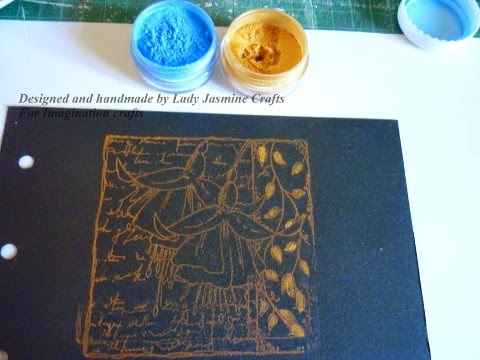 Take a brush and dust the powder over the image ensuring that all the stamped image is covered then removed the excess. 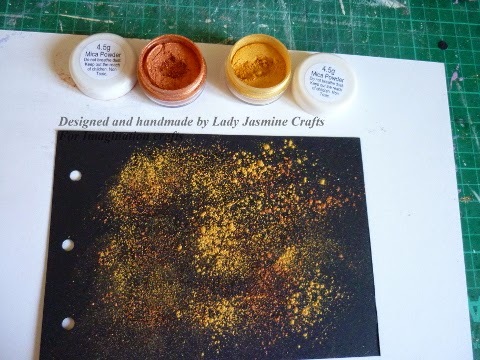 Taking the Blue, Green and Gold mica powder, start painting the image, remember to use the lid as your palette, don't add water to the mica pots or you will contaminate the powder. 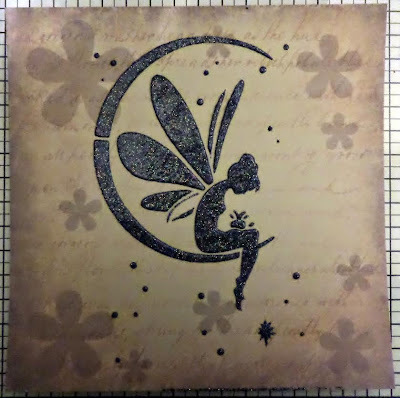 Using the clear mica powder, paint around the image. 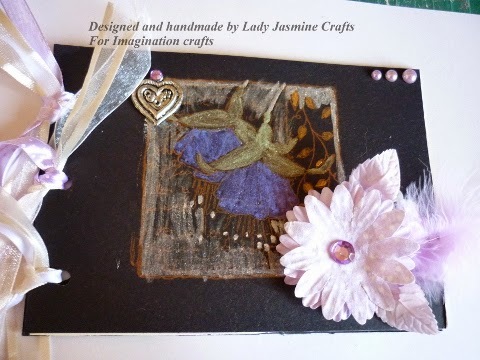 Finally decorate your card, add ribbon to the 3 punched holes, flower, leaves and feather to make a small bouquet and a charm with pearl flat back gems. Today we have the final tutorial from our Scottish lady Avril. We would like to wish her all the best for the future and thank her for all her hard work. 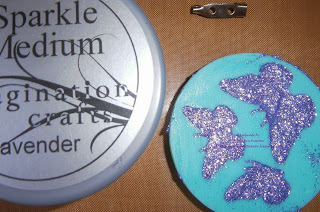 Using the Martha Stewart butterfly mould fill with Lavender Sparkle Medium and leave to set for about 24 hours. 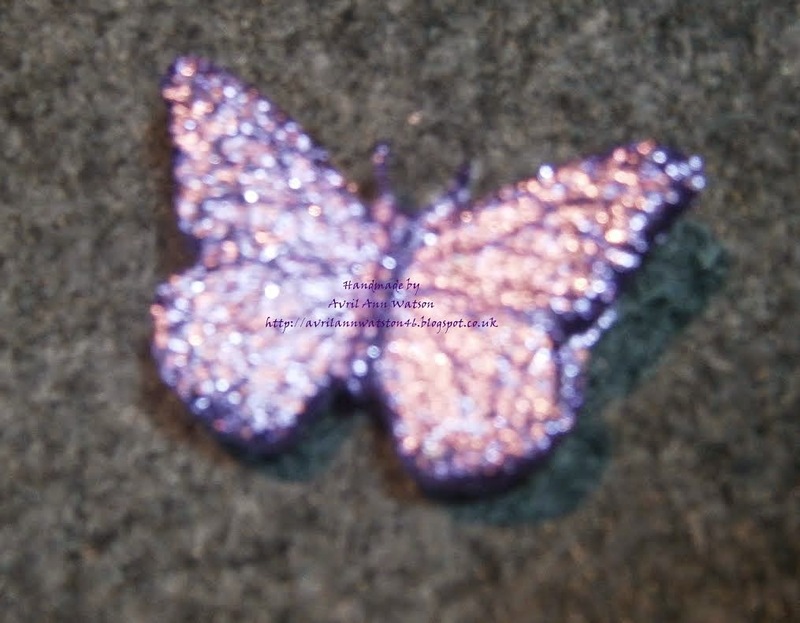 Attach the back of the brooch to the bag before adhering the butterfly. 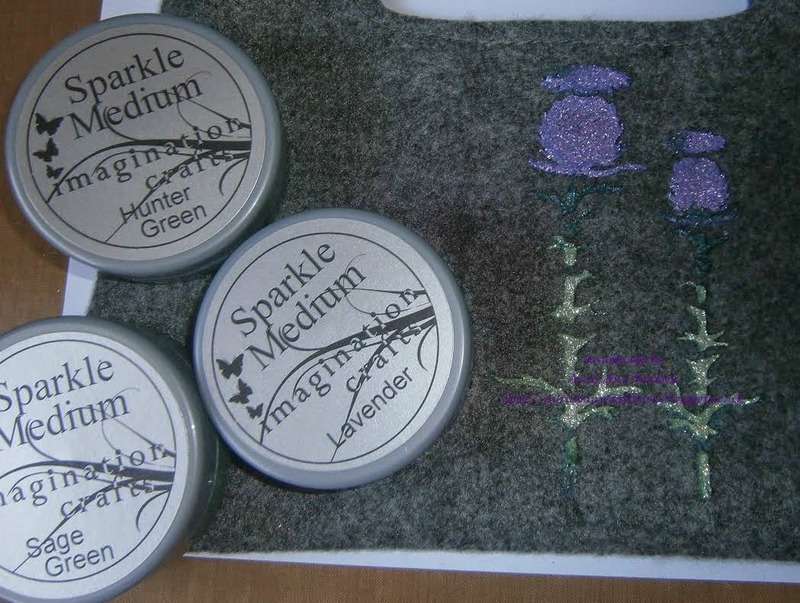 A lovely gift is now complete. 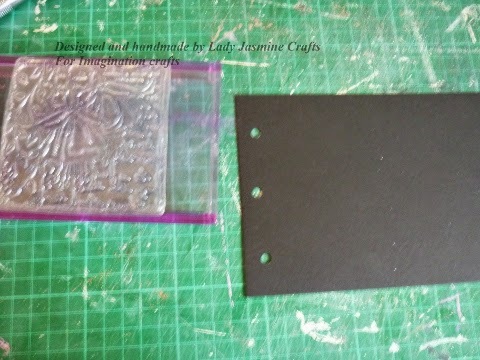 Today we are sharing Cheremane's final tutorial. 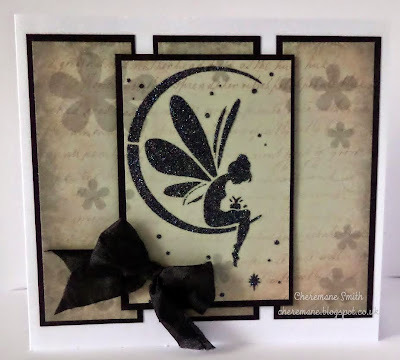 Cheremane has decided to step down from the design team. 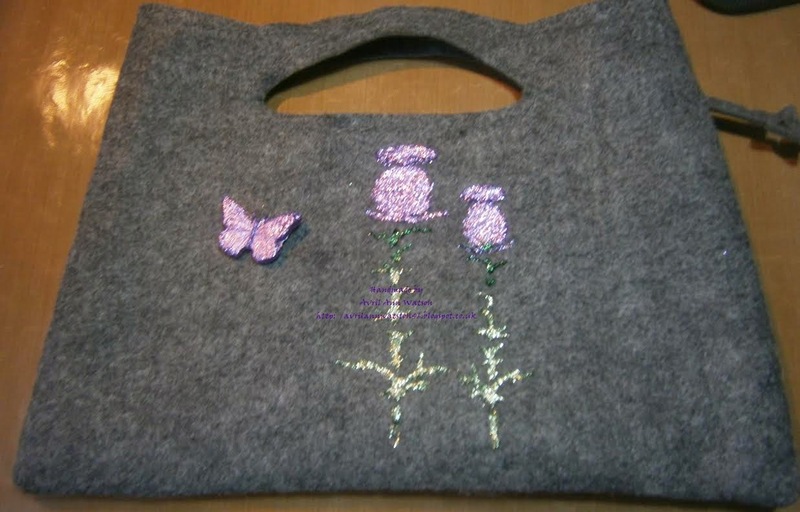 We would like to wish her well for the future and thank her for all her hard work. 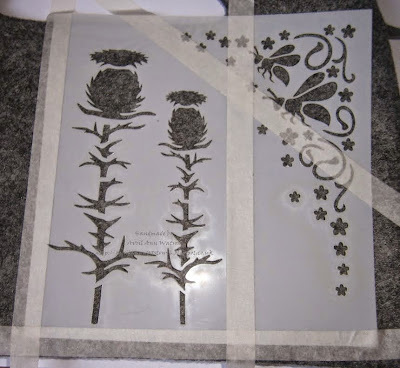 Firstly using low tac tape attach the stencil to the Patterned card to stop it moving whilst you paste the Sparkle Medium through the stencil, remove low tac tape and leave to dry. 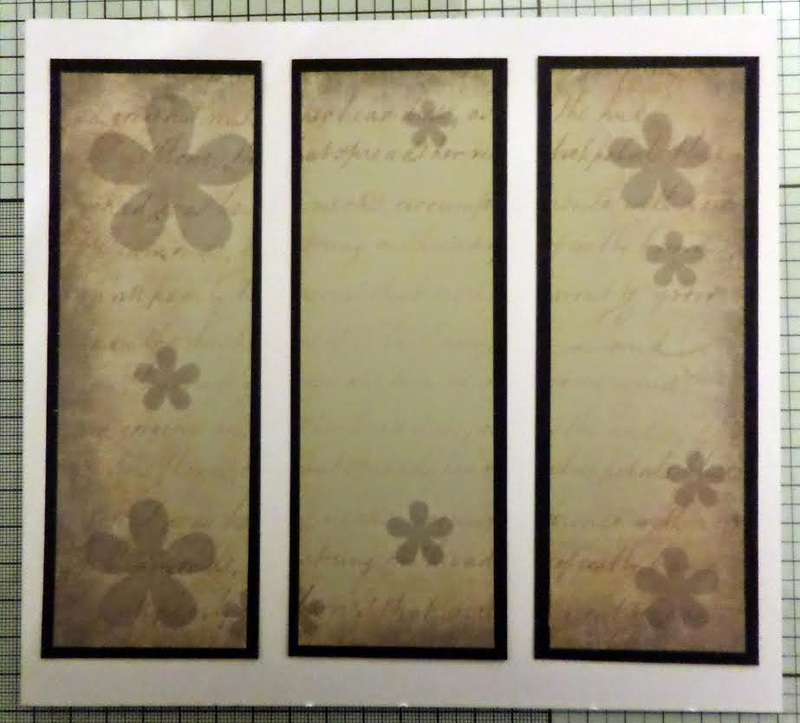 Take your second piece of Patterned card stock and cut into 3 equal pieces ( 2”x 6”) and then mat and layer onto black card. 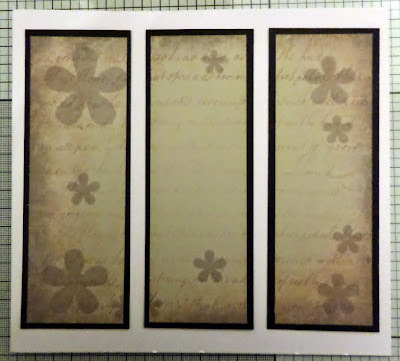 Arrange them onto you card blank equally. 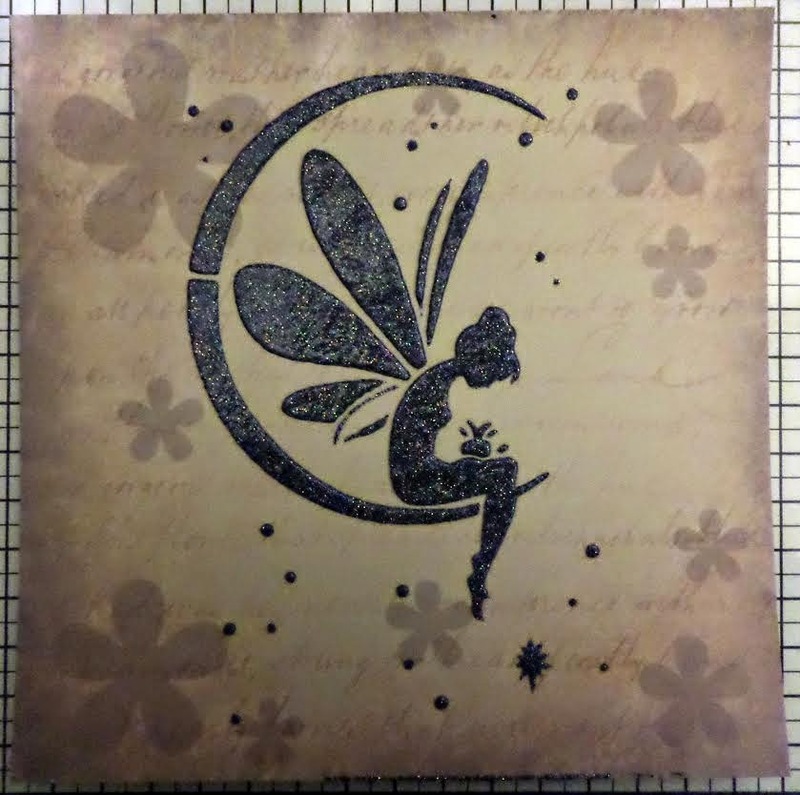 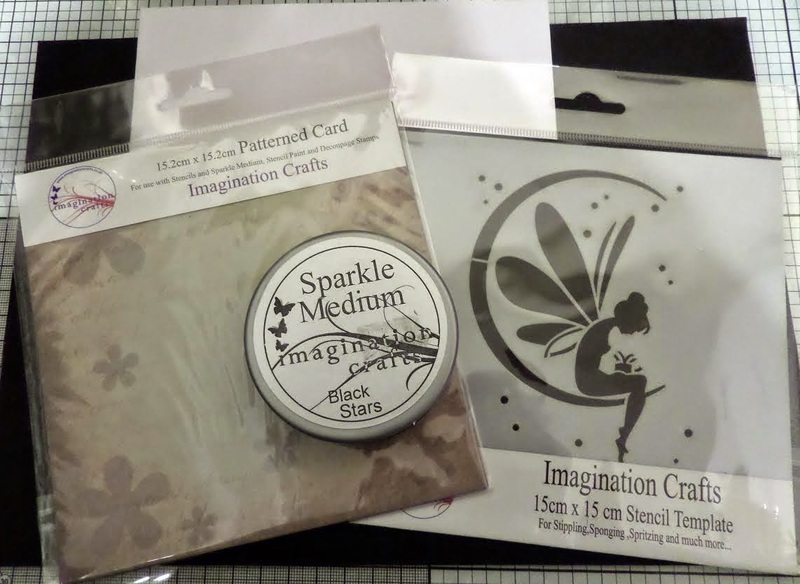 Finally mat the Fairy Moon image onto black card and using foam pads place in the centre of the panels and add some ribbon to finish.